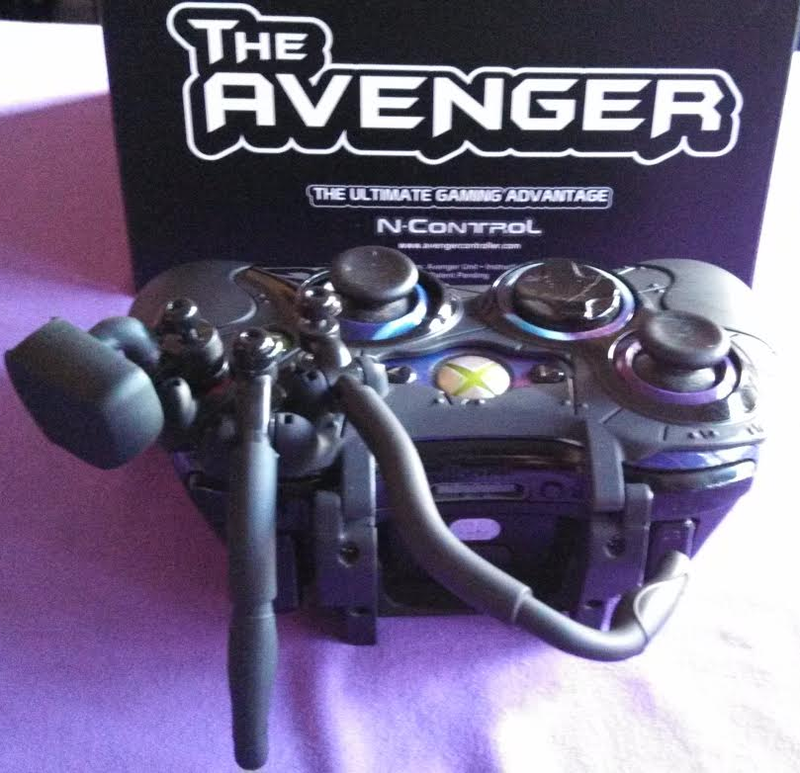 We don’t normally review physical products here at Dialog Wheel, but for N-Control and their curious-looking Avenger Elite, we made an exception. The last Xbox360 controller accessory I remember using was the QWERTY keypad attachment, but other than that, the naked 360 controller has fulfilled all my first-person-shooter needs… or so I thought. The Avenger (minus trigger attachments) in all its reaction-time-reducing glory. The Avenger Elite is a faceplate-like attachment that snaps around either your 360 or PS3 controller, depending on which version you require. After fitting tightly around the unit, the tarantula-like tendrils effectively extend three face buttons (X, Y, and B) to your index fingers, decreasing the distance your fingers travel to press the buttons. There are also a few ways to apply slight pressure to the triggers, allowing you to activate them with less effort, all in an attempt to speed up and streamline gameplay. So does this vengeful monstrosity actually work? I was immediately put off by the product’s packaging, although I understood the demographic the Avenger’s catering towards. The box and it’s contents are rife with lame military jargon and imagery, understandable considering how many people are still playing military-based shooters. Literally. Sharpshooters dream about this. 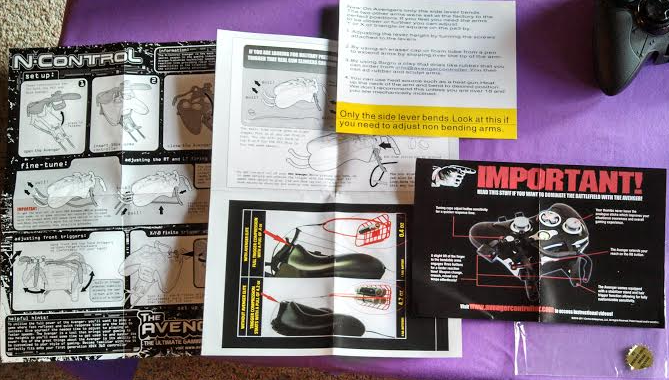 The instructions were kind of convoluted as well; numerous instructions demanded my attention, but not before I watched a YouTube video on how to set up the product, and there was contradictory information on whether or not I could bend all three arms, or just the side arm. Turns out you can only adjust the side arm now… unless you are mechanically inclined to heat up the product and bend it. I eventually figured it out, but this information would have been better off in a single, refined booklet. I also felt bombarded by other reviewers’ blurb-endorsements at every level of unboxing: the box, the instructions, a shiny gold sticker on the handle of the product itself. Whether or not the Avenger will “extend my nervous system,” it all came off as a desperate attempt to justify the product’s utility. I tried not to let it get in the way of my experience using the product, but honestly, I thought it was a gimmicky accessory before I even used it. But then I actually used it. (Aesthetically and mechanically, the Halo series appeals to me the most out of all the popular modern shooters, so I tested this new hardware playing some Halo: Reach multiplayer.) As I said before, the faceplate fits quite snuggly around the controller, even on the wired model which I prefer. It took me a few warm-up games to get used to using the different motions to trigger the buttons. Using a screwdriver, I easily removed the trigger portion of the Avenger, modifying it for my comfort and needs. No longer was I lifting my thumb off the right joystick (which controls my aiming) to reload, or switch buttons. Reloading or picking up new weapons took a slight tilt of my right index finger, switching weapons a mere forward flick. By increasing the usefulness of your index fingers, the thumbs can constantly focus on the most important aspect of FPS games- moving and aiming. Three games in; I started to get it. I got that sensation of power when you finally grasp the controls of a new game, only this time it was a new way of using the controller entirely. There was literally more functionality at my fingertips. Most importantly, the Avenger was not only intuitive to pick up, but fun to use. It just felt better to gently tilt or barely flick my finger forward as opposed to mashing a face button with my thumb. Ten games in; I barely noticed I was using the Avenger and had quickly becoming accustomed to its charm. Back in the Halo: Combat Evolved LAN days, I scoured forums and videos on how to improve my game. That’s when I came across the claw-grip, as opposed to a traditional grip. 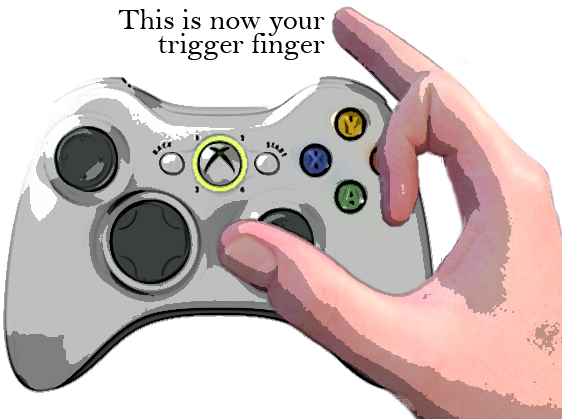 The claw grip allows the user to keep their thumb on the right stick, while pressing face buttons with their index finger and the trigger with their middle finger. It works but may be somewhat uncomfortable for the average player. Then the “Bumper Jumper” button layout came with Halo 3, remapping the traditional layout with the same goal in mind- keep your thumbs on the joysticks as much as possible. If you want to check the Avenger Elite out for yourself visit the official website. 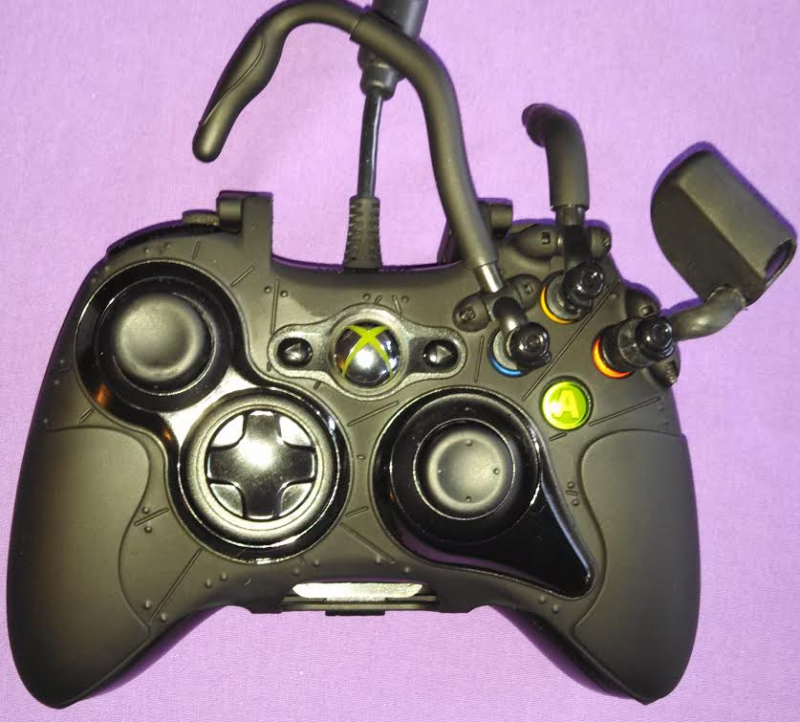 Note: This review was conducted using an Avenger Elite provided by Avenger Controllers.